Thread in 'Marine Electronics' started by Mike Jacobsen, Mar 31, 2019. 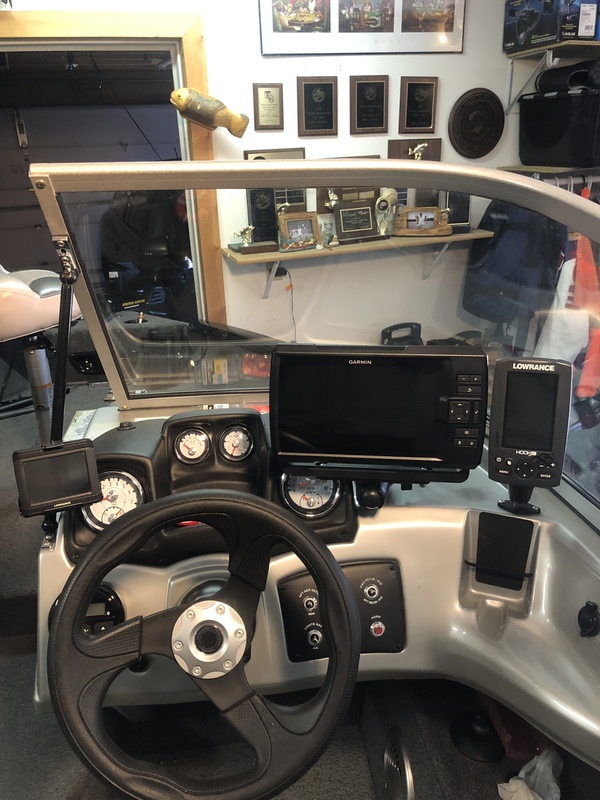 I put my Garmin Striker plus 93sv alongside the stock Lowrance on the counsel. I also have my little Lowrance XOG on the left for lake maps. I put a Garmin Echomap plus 63cv on the bow. Looks pretty good and not sure if you could get any two larger units up there without raising them higher and obstructing your vision. Damn, now that's some information! Though it would be an definite overload for me.